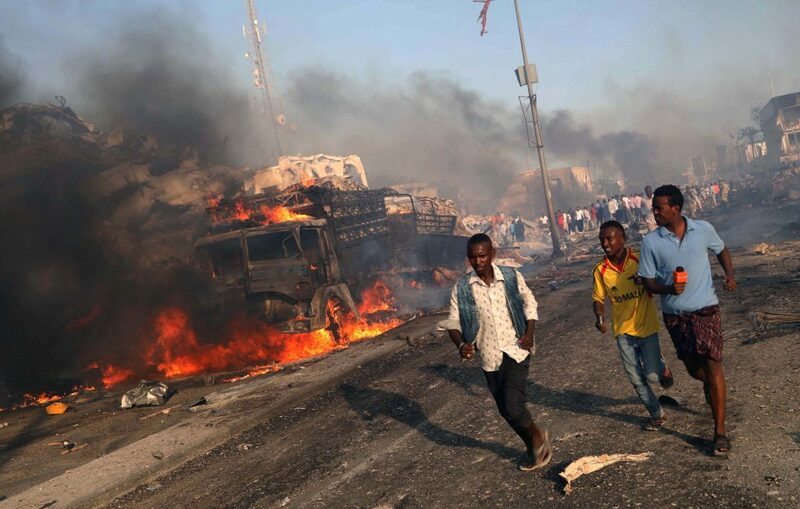 “Four suspects have appeared in court in Somalia in connection with the 14 October truck bombing in that capital, Mogadishu, that killed at least 500 people. The Somali government blames al-Shabab for the bombing, although the Islamist militant group has denied being behind the attack. The suspects appeared at the preliminary hearing in a court in the capital on New Year’s Day. A fifth suspect was not present in court. Prosecutors believe one of them was al-Shabab’s head of explosions in Mogadishu. The BBC’s Ibrahim Aden in the city says none of the men were officially charged and the case is expected to resume on Thursday. Evidence against the men is reportedly weak and investigators are proceeding with the case as they want to seen to be doing something, our reporter says.